When you set a goal, you need to do all you can to be successful. You need to put forth your best effort. You can't do a job halfway and expect to reap the full benefits. 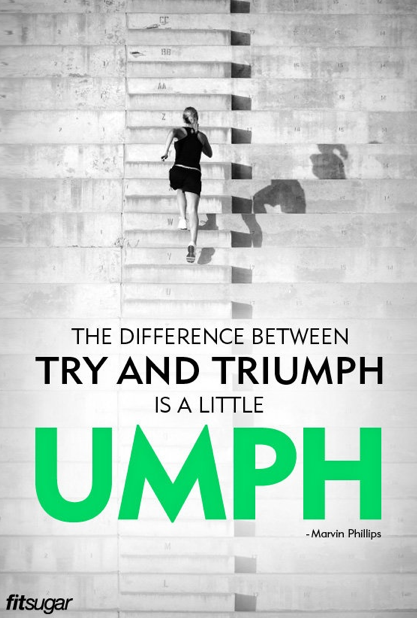 Don't just settle on trying, be triumphant. Be willing to go the extra mile. Be willing to give it everything you have. Set a goal, go for it and work hard. 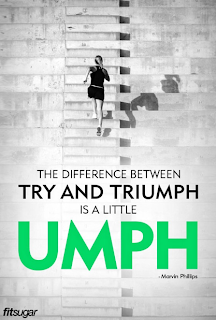 Put a little umph in your effort. Once you do, you will see the difference.